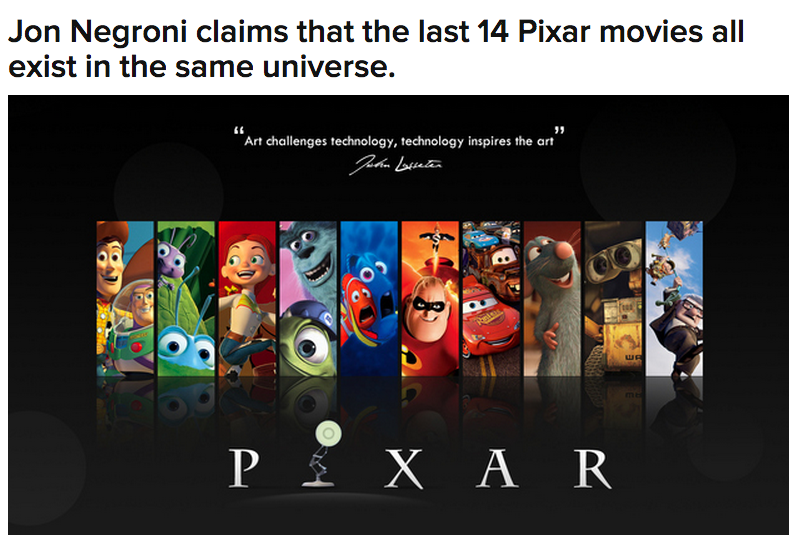 After a discussion on Broadway led to the Pixar Theory, I have included some interesting links below. Find more? Add them in the comments!